What are the Cs of St. Louis? 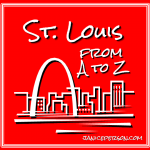 The third day into my A to Z on St. Louis has a lot to showcase. The St. Louis Cardinals are an amazingly unifying force in St. Louis. All year long, you see people wearing red. And Cardinals caps are a big part of the summer landscape. And as I’ve written in the past, lots of the St. Louis fans are fans of the sport & of great players like Stan Musial. Being a baseball fan, it has been a great fit for me moving here! Tickets range from the splurging spectacularly seats to really cheap seats. You can get single game tickets on the web for $27-400 so it can be an anytime event or a really special event! I enjoy getting a hot dog or nachos! Check the Cards’ schedule now and get to buying tickets! I usually take the metro in from one of the suburban stations. There are lots of trains going in for games and the cheap ticket is easily bought on the platform. Besides, lots of people use the metro too. The home opener is next week, can’t wait til I get to go to a game! 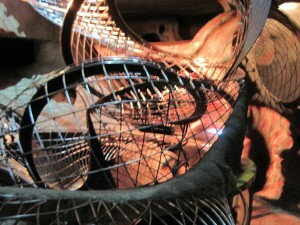 If you are in St. Louis with active kids, then I suggest you get straight on over to the City Museum! It is so incredibly unique! I’ve been to lots of children’s museums in various places but this is more like a Willy Wonka’s playground of fun! It is amazing how hard kids and grownups can play at this place! While I put it on my list of the top 3 family adventures in St. Louis, its uniqueness makes me prioritize it whenever friends are coming to visit! There are slides and tunnels that are so adventurous! You can’t help but get interested in climbing into the trees or climbing up the rebar tunnels so you can slide down tunnels that go for a few feet or a few floors! Plan for hours of fun and kids who want to keep going without realizing they are exhausted! We have had lunch at the museum — pretty good pizza and salads. The cost is $12 unless you are coming in late — after 5 pm it goes down to $10. In case I didn’t convince you, check out this post from Karen at Arch City Homes. It even includes a video. In New York people talk about the homes around Central Park and in St. Louis, the park to be near is Forrest Park. The neighborhood of great houses, trendy boutiques and restaurants is called the Central West End. 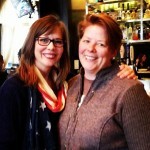 I haven’t written much about it but luckily some great blogger friends have! Check out the posts by Erika Sevigny about a window walk in the Central West End, or this one showing fall colors, and she even has a transplant’s guide to the area! I went over to the neighborhood briefly yesterday (Wednesday) to meet up with Cami Ryan — a fellow agnerd that I met online years ago and we finally met up! When I looked at neighborhoods, one of the places that got my eyebrows raised was Carondelet. I should say, part of that could have been sentimentality — I have a photo of me in a store called Carondolet when I was a kid — but the other part was because it was a great neighborhood! Beautiful old houses surrounding a peaceful park. This is still on my to do list — gotta get myself to Crown Candy Kitchen. Not only have I heard great things about the namesake — I mean seriously, candy made on the spot grabs my imagination in ways I try to shut out of my mind — but there is a grilled cheese there I’ve heard about…. Gotta get me one of those! Cause I love me some cheese! I’m enjoying my St. Louis A to Z or check out last year’s post for my beloved cotton in my A to Z of Agriculture. And you can browse a list of almost 2,000 bloggers doing their own A to Z Challenge. I’d love to hear what words you think should be on the list.